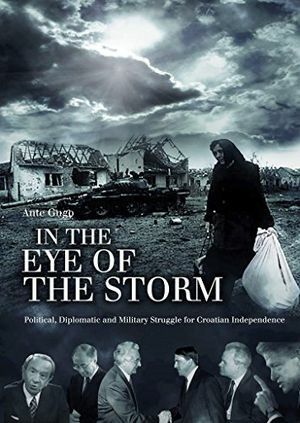 The IN THE EYE OF THE STORM: POLITICAL, DIPLOMATIC AND MILITARY STRUGGLE FOR CROATIAN INDEPENDENCE (English Edition) Bestes Angebot with good price, Ante Gugo has collected and painstakingly researched all the most significant events which characterized the dissolution of the Socialist Federal Republic of Yugoslavia and the creation of the Republic of Croatia, placing them in an impressive historical as well as political context. He deals not only with the Croatian War of Independence (known as the Homeland War) - which culminated in "Operation Storm" and the liberation of a quarter of Croatian territory from four years of Serb military occupation - but also takes into account the five years preceding the outbreak of the Croatian War of Independence, dissecting the events from the second half of the 1980s that led directly to the Serbian war of aggression against Slovenia, Croatia, and Bosnia and Herzegovina. Wenn Sie suchen für IN THE EYE OF THE STORM: POLITICAL, DIPLOMATIC AND MILITARY STRUGGLE FOR CROATIAN INDEPENDENCE (English Edition) Bestes Angebot Blick auf unsere Überprüfung erhalten die perfekte Produkte Sie wollen. Sie können diesen Artikel unten ausführlichere Informationen lesen.